Heroes, Heroines, and History: Put on that Party Dress! Put on that Party Dress! 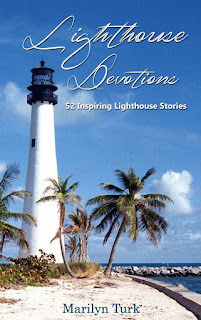 ***Leave a comment at the end for a chance to win a new book! The Christmas festivities are here and we reach back into our closets for that holiday wear that only comes out in December. For many of us, it’s the only time of the year we wear red. Children are decked out in their special jolly clothes for church or to take pictures with Santa. Little boys may be seen wearing ties and vests while little girls twirl in satin, taffeta or velveteen. But what did people wear in the Depression? What festive clothes did they have? Many mothers couldn’t afford store-bought clothes, so they made their children something new to wear out of something they already had – like flour sacks. By the time I came along, the store my grandmother ran was no longer in business. However, it was attached to her house, so I strolled through the mostly-empty store looking into vacant glass cases and bare shelves. That’s the first time I saw it. On one shelf there was a stack of fabric in various prints. I liked the prints, but when I touched it, it was rough and stiff. 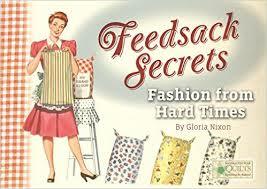 My mother explained to me that they were old flour sacks that people used to buy from Grandma to make clothes. I looked at Mother like she was crazy and said, “I wouldn’t want a dress made out of that scratchy stuff!” Mother laughed and told me it wasn’t too bad after it had been washed a few times. I doubted it would ever be soft like my clothes though. And yet, in the Depression, people were just happy to have something new. Women made shirts for boys and dresses for girls out of the material that flour and other goods came in. Even feed sacks were used to make a variety of household items like curtains, quilts, towels, and even underwear and diapers! When the flour mills found out how the bags were being reused, they began making the bags in color and then added lively prints. Manufacturers even pasted on paper labels so they’d be easier to remove than the stamped-on labels. By the 1930’s, manufacturers competed with each other by hiring artists to design the prints. The trend was great marketing, and more companies that sold their products in sacks caught on. Women often chose their flour, sugar, beans, rice, cornmeal, feed and fertilizer, based on which fabrics they liked the best. Not only were women being thrifty, they were helping the government during a cotton shortage. After the war, rural women showed off their homemade fashions by competing in national sewing contests. Farmers often found out they had more feed sacks than they could use, so they were able to sell them back to the store to be resold. I wonder if that’s where my grandma got hers? 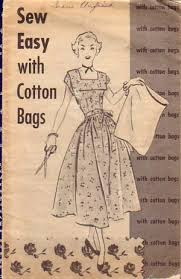 Magazines and pattern companies took advantage of the sack popularity and published patterns specifically for feed sack prints. Directions were even given for using the strings from the sacks in knitting in crocheting. And it wasn’t only poverty-stricken families wearing these garments. A 1942 estimate showed that three million women and children of all income levels wore them. However, as technology advanced, largely due to the war itself, many items were no longer packed in cloth bags. Paper and plastic was cheaper to produce and more sanitary and rodent-proof, and a new man-made material called rayon appeared on the market. Cloth bags practically disappeared, and clothes made from them disappeared as well. Did you ever have a flour-sack dress or know someone who did? Leave a comment (and your email) for a chance to win a copy of our brand-new book, Lighthouse Devotions. Yes, I had more than one and I loved them. My favorite was a pink with tiny yellow flowers blouse and skirt. I remember wearing these to my 2nd grade class and being so proud! 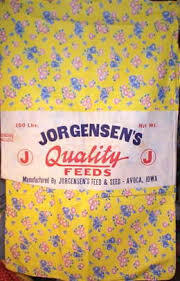 My grandmother was a farm wife and she had a huge stash of feed sacks. As a programmer for our library, I developed a program around feed sacks and their uses and our Senior Citizens loved it. Thank you for reviving these precious memories! Hi Connie. Thanks for sharing your fond memories. And how nice that you developed that program for your library! 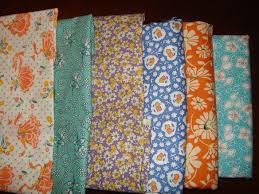 I never had a flower sack dress but I think some of the material was so pretty. I do not sew and am amazed that someone is able to take a piece of material and make clothing. I love your post! Thank you and Merry Christmas! Hi Melanie. Those prints were pretty, weren't they? Hey Vickie. I never thought about using them for quilts, but of course they did! How nice that you have some. Yes, I bet you're right about the run on the feed store! I don't know if flour sack dresses were worn by my grandmothers or my mom. These days, I buy flour sack towels because they're the best for drying dishes. I didn't know that, Terri! Where do you find them? 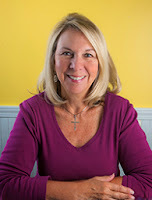 Thanks Terri! I didn't know that either! Where can you get flour sack towels? Is it common? They may have come from the local Ben Franklin craft store. I still have the label: Martha Stewart Everyday, Four Flour Sack Kitchen Towels. My book *The God of All Tomorrows* is set during the Depression, and one of the girls wears a flour sack dress. My parents lived during that era, and they told me about the feed sacks. I guess my mom wore some of those dresses when she was a girl. Hi Donna. You're book sounds very interesting. 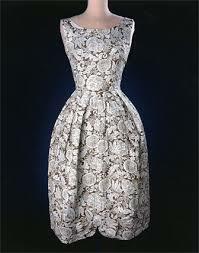 I never had a flower sack dress, but I've read about it in the past. I really enjoy this post because it reminds us how blessed we are now to have soft fabric against our skin. It also reminds us how creative people were back when computerized technology was not around. awesome post! Thank you and Merry Christmas. Annie, you're right. We do have things so easy, we don't appreciate them. When people had to do without, they got more creative with what they had. In the 80s, flour sack dresses were popular. (Here, at least.) They were reproduction flour sack fabric, but I made my daughter and I matching ones. Thank you for this post and giveaway. Thanks, Susan for your comment. I was around in the 80's and don't remember this, but what a nice memory! 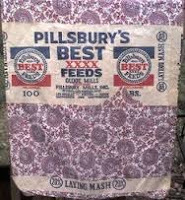 I never had any flour sack clothes, but I remember my Mom talking about them. She said that she used the flour sacks for dish towels as well. I remember some of the ones she had left. Thanks for the giveaway and Merry Christmas! Thanks for your comment, Betti! Merry Christmas to you, too!